The sleeper bus from Phonsavan (Plain of Jars) arrived in Vientiane early in the morning. 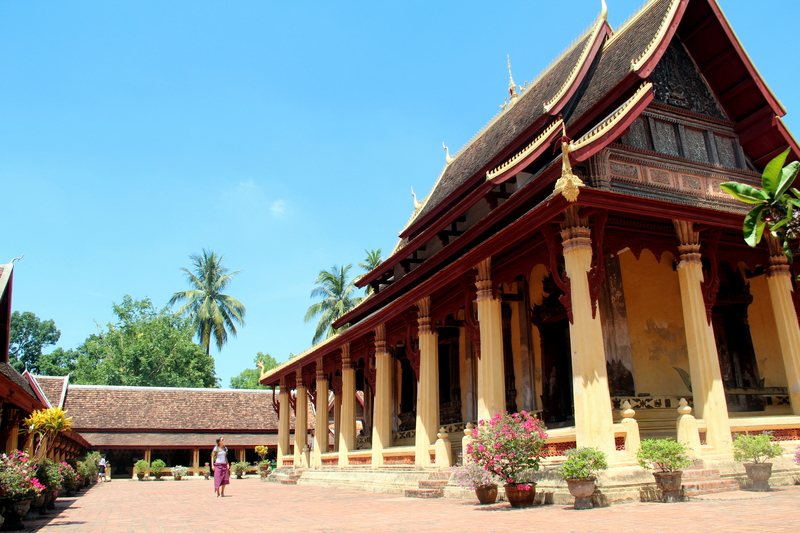 We didn’t have any particular interest in visiting Laos’ capital, but logistically it made sense; we would get our Vietnam visa and fly to Hanoi from here instead of backtracking to Luang Prabang. At the bus terminal, we ignored the taxi drivers and got on the cheap public bus, which dropped us off in the center. We found a hotel that would keep our backpacks for the day and grabbed breakfast, including some omnipresent fresh shakes. Then we took a tuk-tuk to Patuxai, from where we would walk the city toward the southwest. 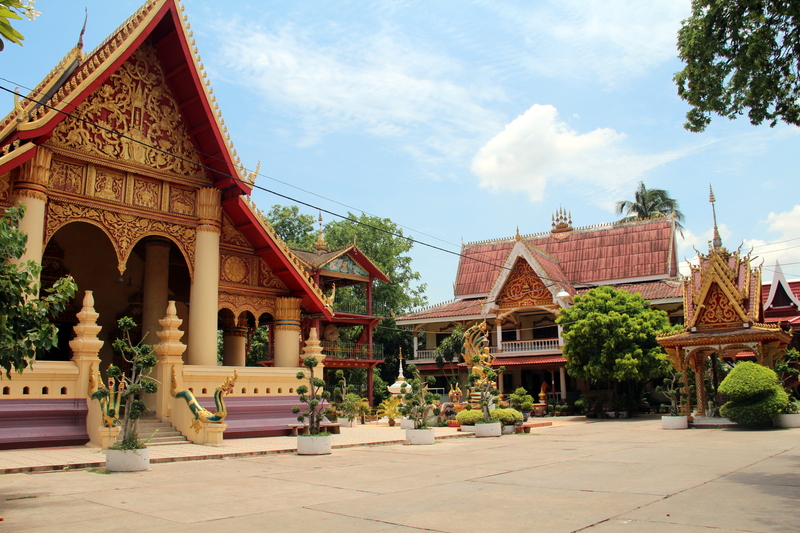 Patuxai is a sort of Arc de Triomphe, reminiscent of the French influence over the country, although with four pillars instead of two and Laotian ornamentation. We climbed to the top via the internal staircases, full of local tourists and souvenir shops, and took in the sight of modern Laos. From there, we walked past the rather uninteresting city market, the old stupa That Dam and the Presidential Palace. 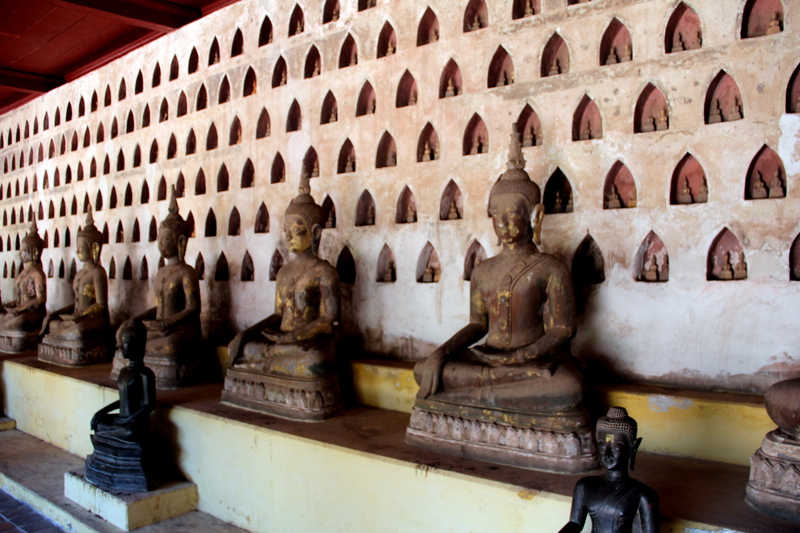 We reached Wat Si Saket, a wonderful temple with thousands of Buddha figures in pigeon holes. And then made it to the Mekong promenade, a new park with a big statue of King Anouvong and several restaurants, where we got one more fruit shake. 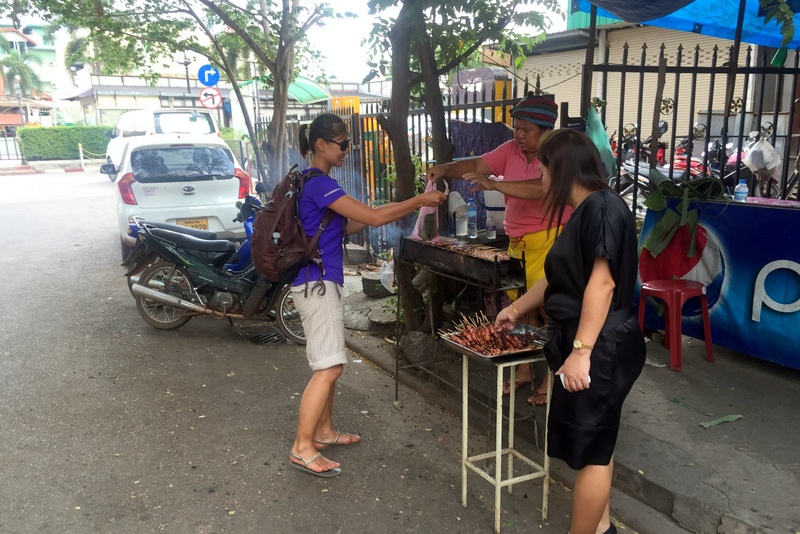 Continuing west, we checked out Wat Mixai, Wat Ong Teu Mahawihan and Wat In Paeng, plus some of the business streets of the capital. 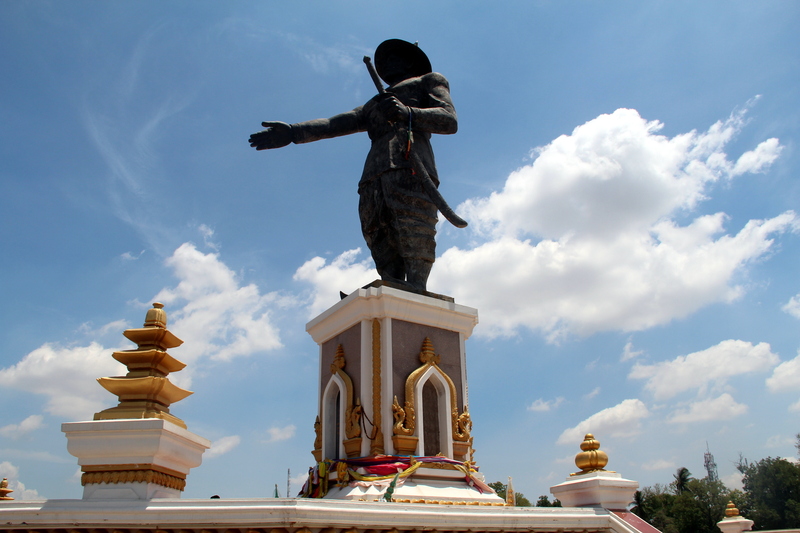 By then, we were so saturated that we decided to skip the famous stupa Pha That Luang and the statue park of Xieng Khuan. Instead, we figured out our Vietnam visa, went to get a long, relaxing massage, and burnt the last of our kip in street food.